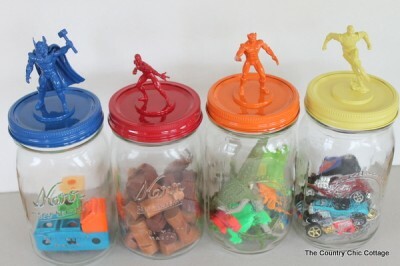 Most kids would love a set of colorful superhero jars to organize their toys. These are inexpensive and fun to make. A great way to recycle jars too!